James joined The City Law School in October 2016 as Director of Legal Practice Course (LPC). 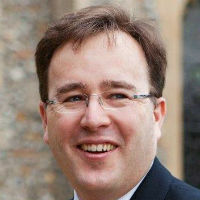 James qualified as a solicitor in 1996 practising in the field of privacy and telecommunications. He first started teaching on the LPC in 2003 when he joined the Inns of Court School of Law before it was renamed The City Law School. He subsequently joined the University of Law (nee College of Law) before returning to The City Law School to lead its LPC and Chair the Working Group on School Integration and Professional Regulation. Prior to joining The City Law School, James established Stellenbosch University’s LLM in on International IT and Communications Law and consulted with Centre for Commercial Law Studies to develop the first digital distance learning offered by a UK university. Whilst at the University of Law, James led the University-wide team of course designers delivering leading edge learning design on all the University’s core programmes and latterly held the role of Programme and Student Lead for all the LPC at the Bloomsbury Centre. James wrote LPC Skills Online and Solicitors’ and Business Accounts Online, the first fully interactive LPC text support by online resources, and has edited a number of texts for CILEX Law School. He has also acted as external adviser for a number of Universities and institutions in the development of apprenticeship, postgraduate and professional programmes. James is also a Fellow of the Higher Education Academy.